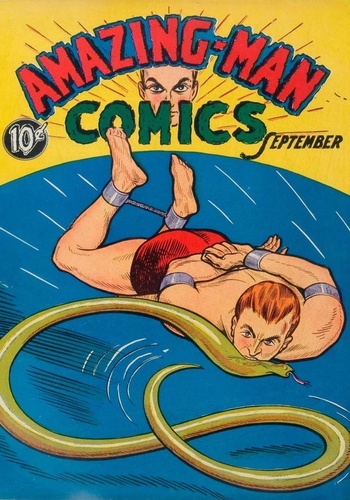 Welcome to 1939 and the Golden Age of Comics! 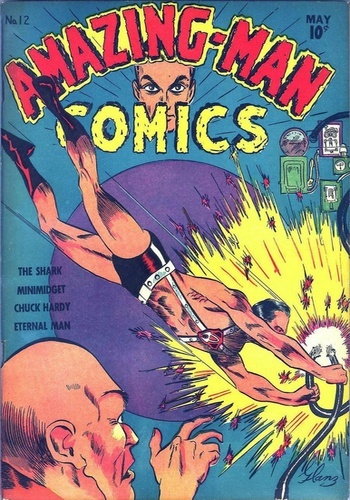 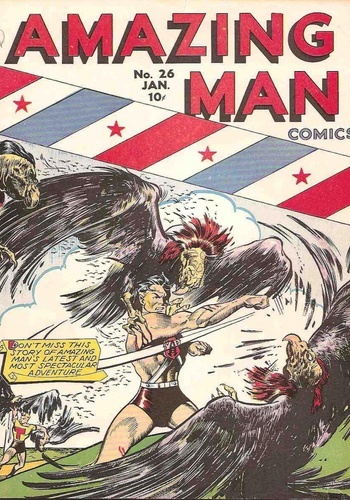 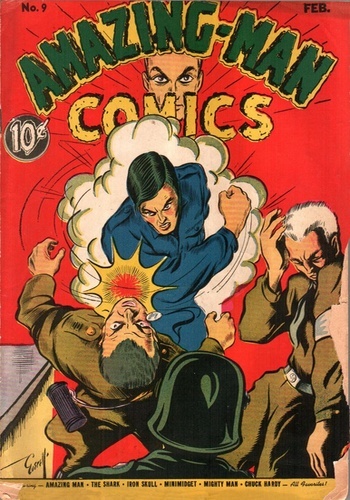 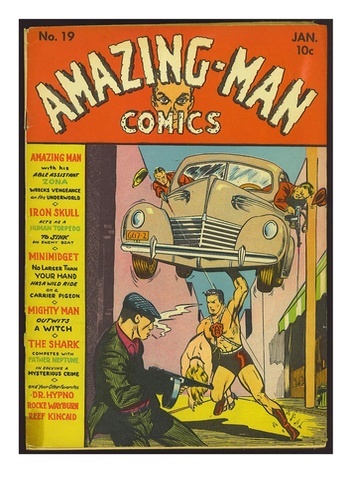 As was common practice during the period, Amazing-Man Comics did not have an issue #1. 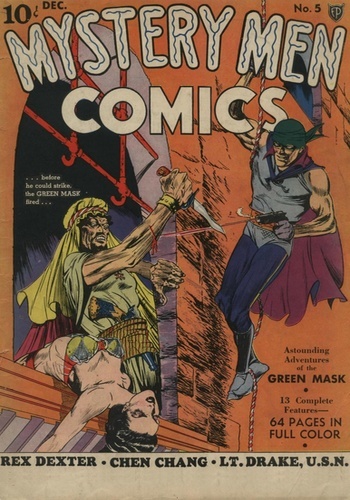 In fact, the series began with issue #5. 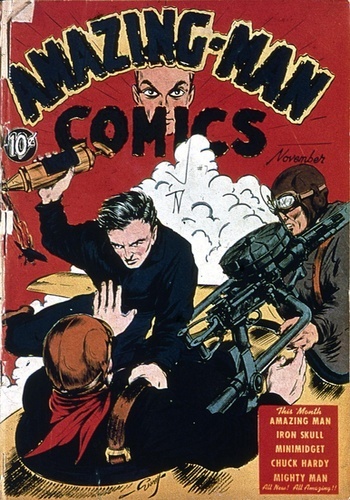 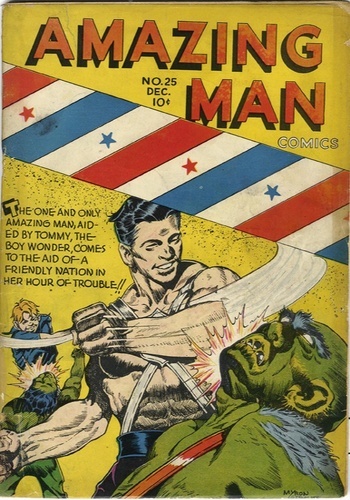 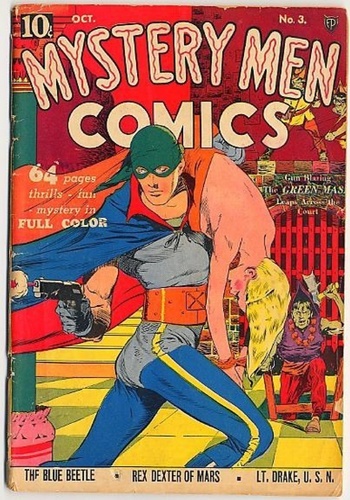 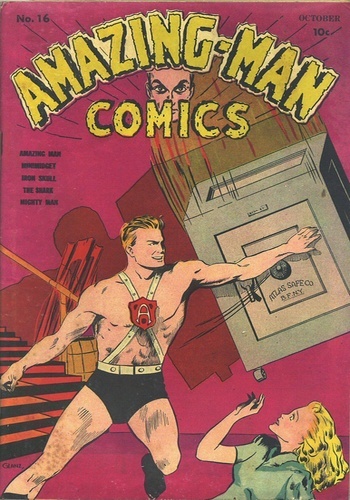 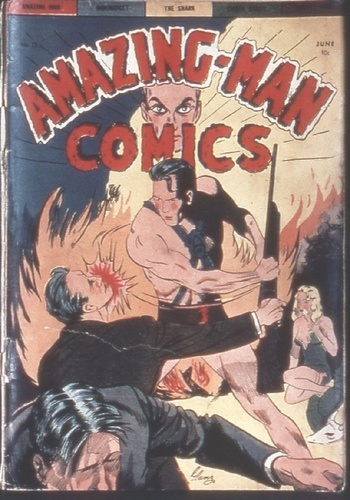 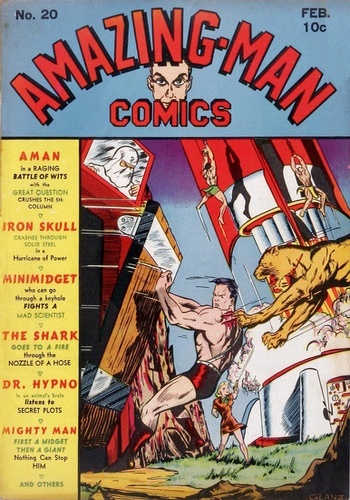 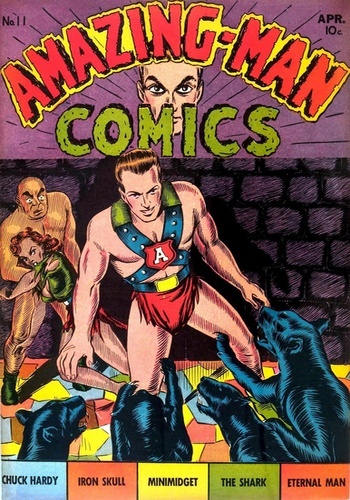 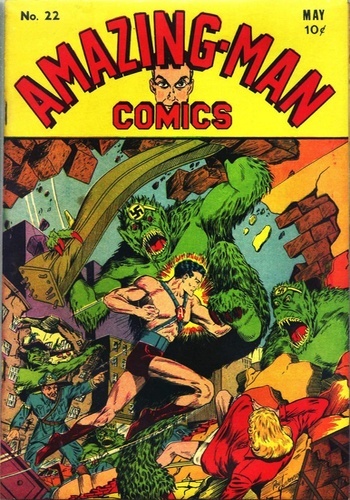 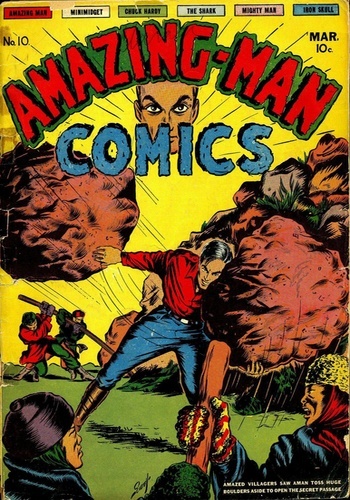 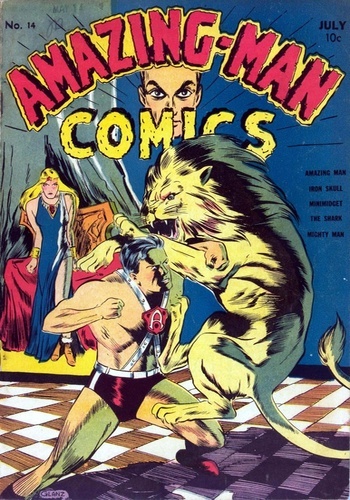 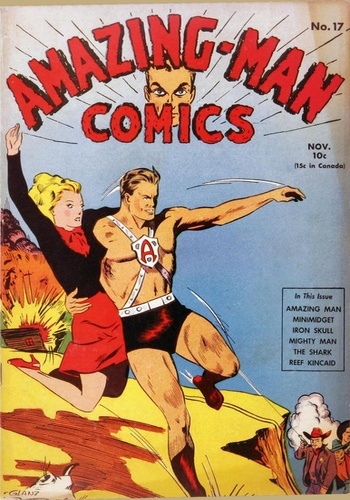 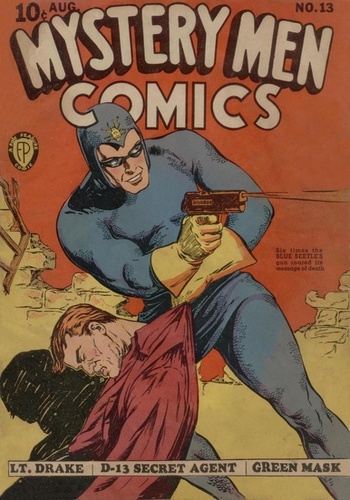 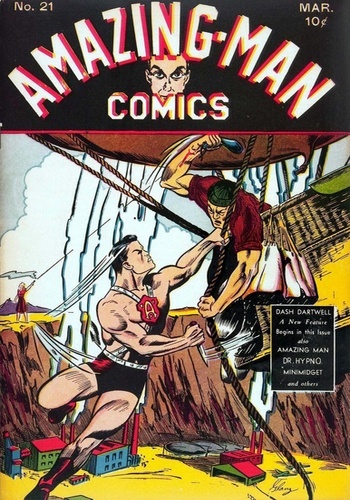 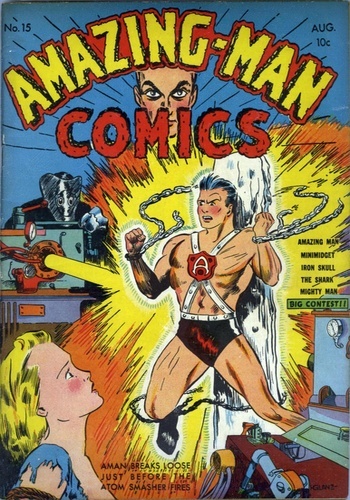 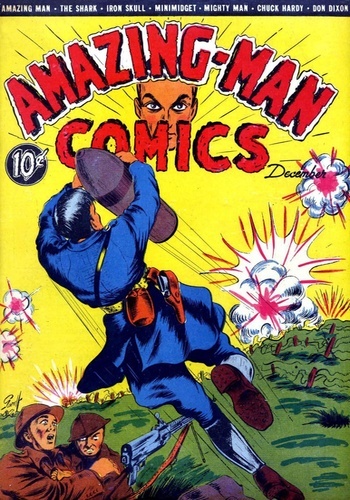 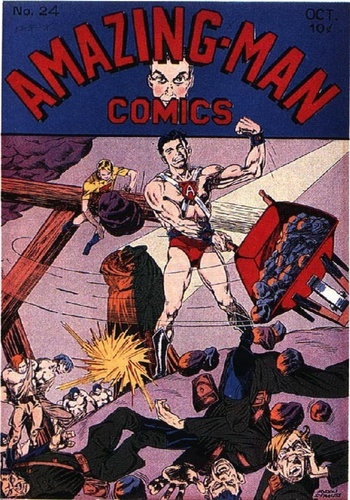 Amazing-Man (John Aman) is a fictional, American comic book superhero whose adventures were published by Centaur Publications during the 1930s to 1940s in the Golden Age of Comic Books. 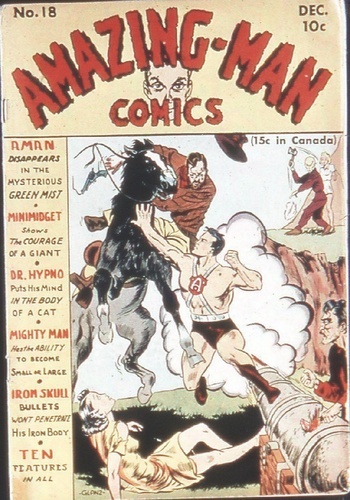 Historians credit his creation to Bill Everett together with Centaur art director Lloyd Jacquet. 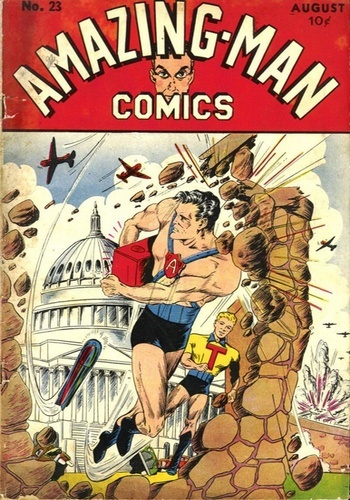 The character influenced the creation and origin of Charlton Comics' 1960s superhero Peter Cannon, Thunderbolt, as well as Marvel Comics Iron Fist character in the 1970s. 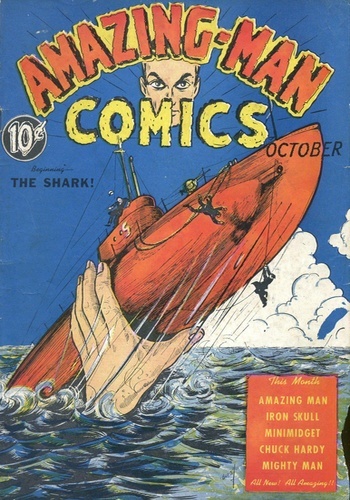 This publication is from collected scans of public domain material. 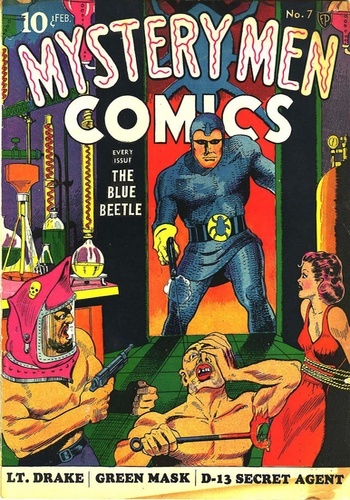 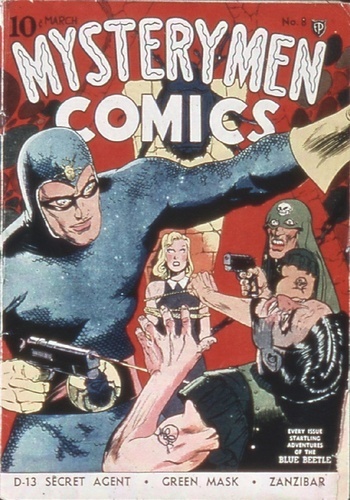 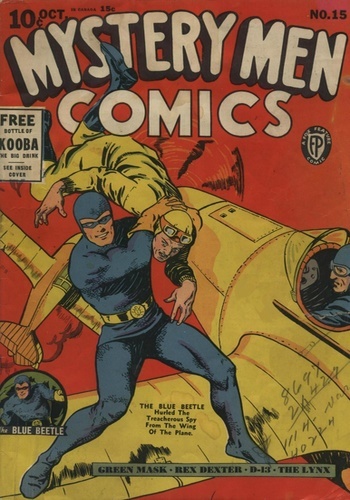 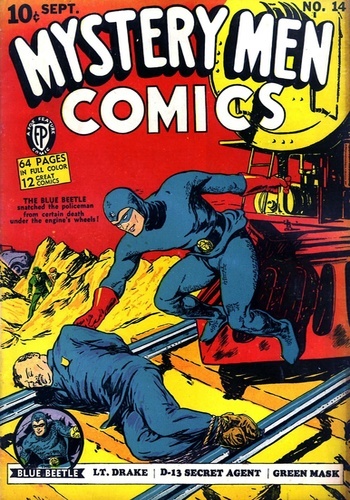 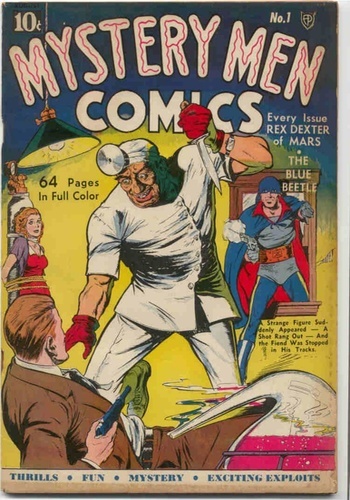 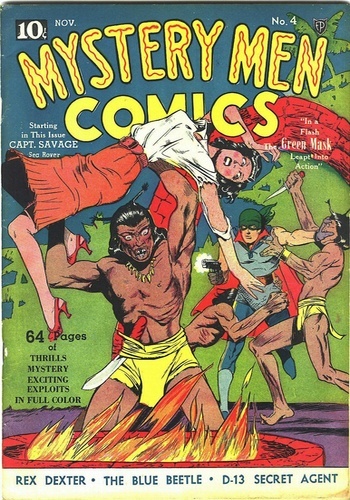 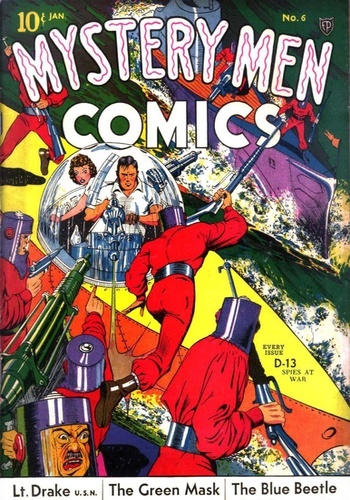 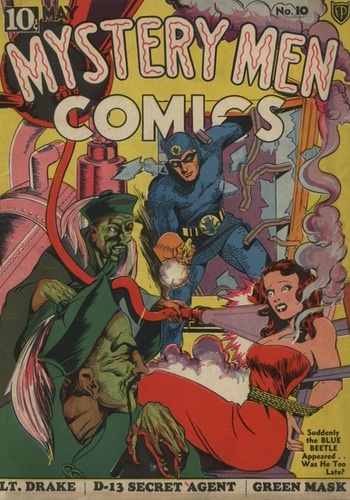 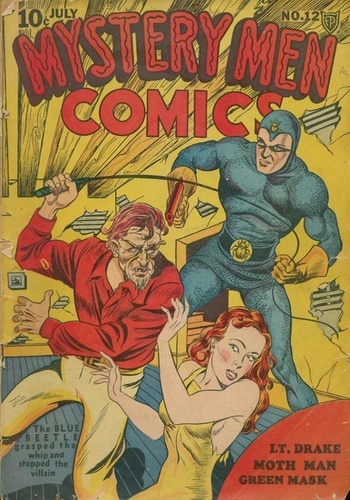 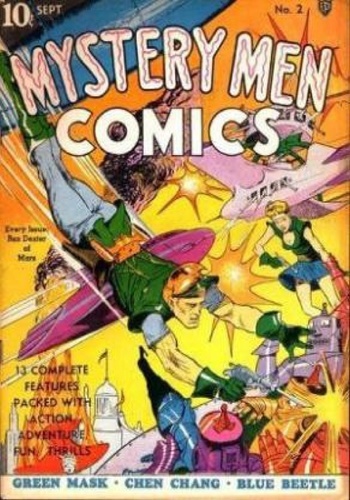 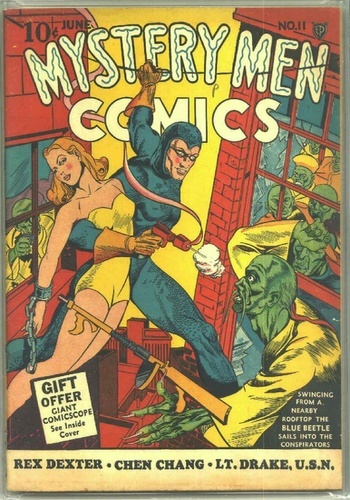 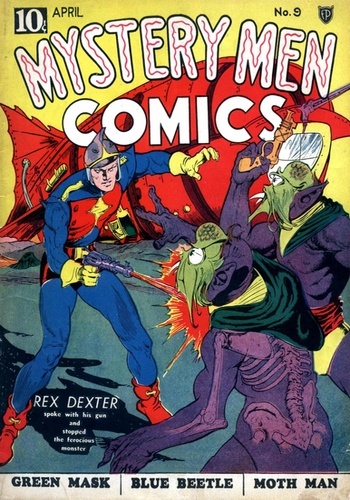 It is the editor's intent to make classic Golden Age comic books available to present day fans.